Welcome to the ULM Atmospheric Science Program! We are a dynamic and growing program. The School of Sciences is home to the Atmospheric Science degree which is designated by the Board of Regents as a Program of Excellence. Many of our recent graduates are working as forecasters for private businesses, the National Weather Service, and the military or have pursued graduate school and research careers. Some are also working as broadcast meteorologists, environmental consultants, and math or science teachers. Over the past year, several current students have been selected for paid research experiences funded by NASA and NSF or been hired as paid interns at the National Weather Service, television stations, and private sector forecasting firms. You may contact Dr. Anne Case Hanks (casehanks@ulm.edu) or Dr. Todd Murphy (murphy@ulm.edu) if you would like to learn more about our bachelor's degree program, minor option, or careers in the atmospheric sciences! Taylor Aydell and Brandon Cohen were awarded the Hollings Scholarship. Greg Sova and Brandon Cohen were selected to participate in the Texas A&M Gulf Coast REU for Summer 2018. Sisam Srestha was selected to participate in NASA DEVELOP in Summer 2018. 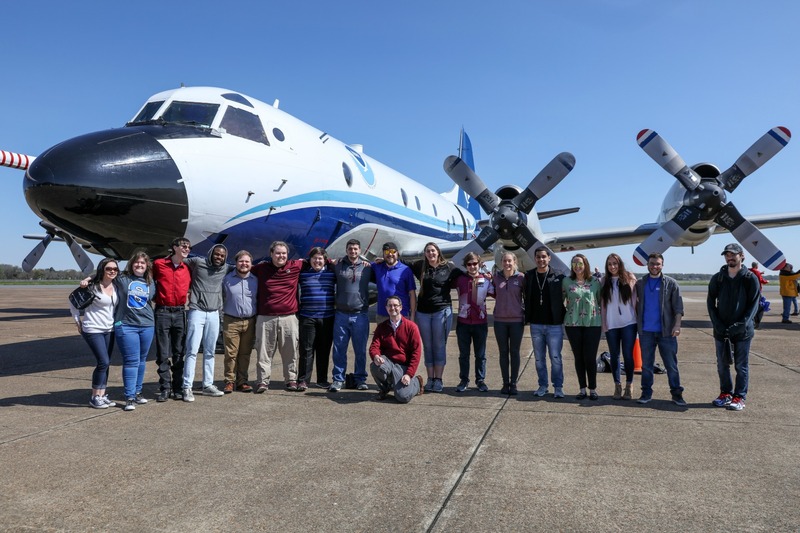 The ULM Student Chapter of the American Meteorological Society (ULM AMS) strives to promote and foster the development of operational meteorology and research in the Ark-La-Miss region. Our meetings and projects incorporate informative and social events including guest speakers from the National Weather Service, private industry, military, and emergency management. The AMS also participates in severe weather awareness events, tailgating in the Grove before football games, intramurals, and nights out for dinner, bowling, and games. Come join us!